Fly in and fly out the same day! 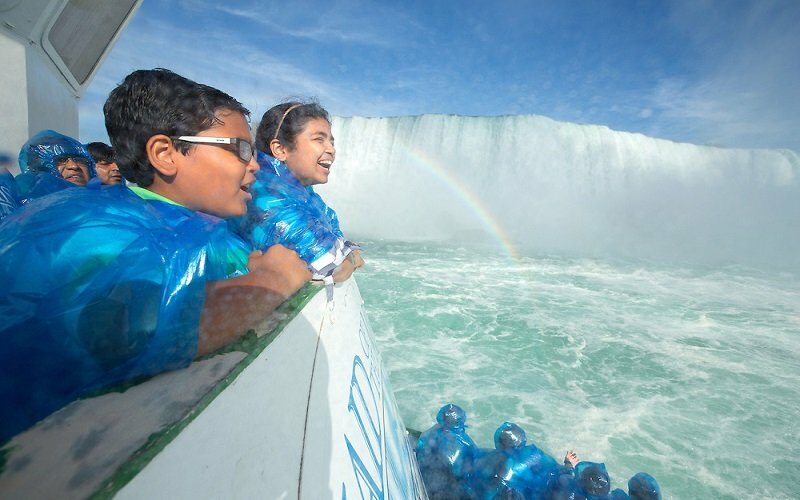 This tour features all the adventure, beauty, and natural wonder that is Niagara Falls, USA. Includes the breathtaking Cave of the Winds Trip, a ride aboard the world-famous Maid of the Mist boat, and a visit to the oldest state park in the country, Niagara Falls State Park. Leave your passports at home and experience all that this spectacular 12,000 year old natural wonder, Niagara Falls, has to offer. 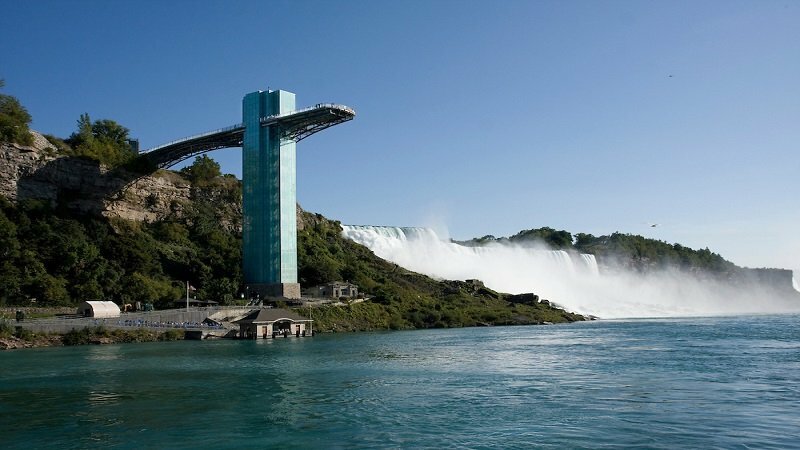 Delve into the rich history of the daredevils who tried to conquer the Falls and get up close and personal with the mighty waters on two of Niagara USA’s most popular attractions; The Cave of the Winds, and the historic Maid of the Mist boat cruise. 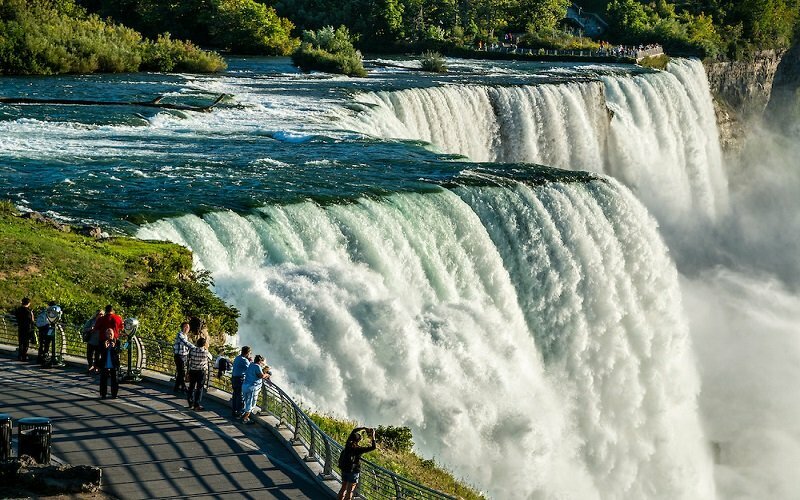 While on tour, you will also experience the sweeping views of the Falls from all key viewing areas as this is the only way that you can enjoy all the splendor that Niagara USA has to offer and enjoy lunch at Niagara USA’s Hard Rock Café. This said, we encourage all guests to bring a camera as not only do our guides like having their picture taken, but as well so that you can capture each incredible moment of your tour in order to share your personal experience with friends via social media, or with family back home. For your comfort, we personally recommend wearing comfortable clothing and walking shoes while on tour. Feel the thunder at the adventurous Cave of the Winds Trip and descend 175 feet to the “famed” Hurricane Deck at the base of the Bridal Veil Falls (rain gear provided). 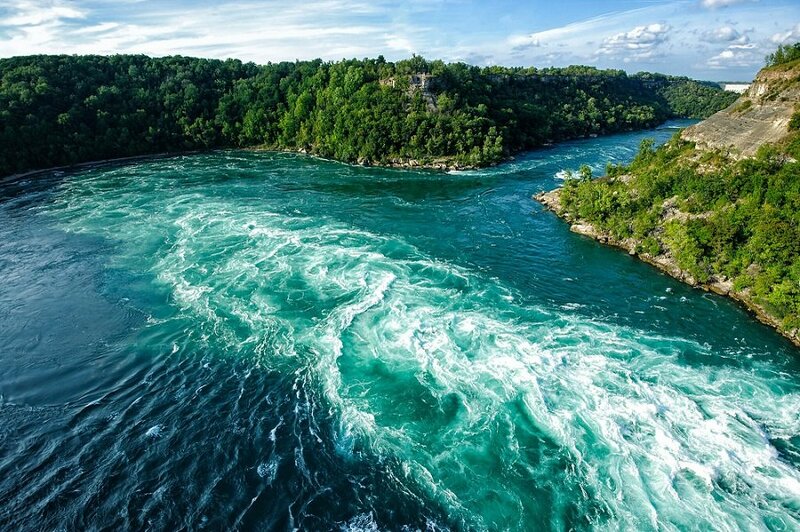 In addition, you will visit or view the Horseshoe Falls, American Falls, Bridal Veil Falls, Three Sister Islands, Luna Island, Terrapin Point, Prospect Point, American Observation Tower, Niagara River, Niagara Parks, Table Rock,Raging Rapids, Old Scow, International Water Control Dam, Water Intakes, Giant Whirlpool, Whirlpool Aero Car, Niagara Glen, Hydro-electric Power Plants, Niagara Escarpment.